To promote, preserve and protect families as the foundation of our communities. To provide access to the growth and opportunities that learning provides. To share the blessings and hope that God provides with all who need Him. To advance our ability to prevent disease, care for children and seniors, and provide the opportunity to live a healthy life. To participate in shaping our policies, our government, and our military for future generations. We believe nonprofits play an exceptional and vital role in our communities around America. The impact of our philanthropy will be seen in people, organizations, and associations reaching their goals at making a difference in the lives of others, and communities around America. The Taylor Foundation is a private, family foundation that was established in 2012. The foundation focuses its giving on; commitment to the Christian Faith, the preservation of family values, the support of children, senior citizen care programs, quality healthcare, the value of education and the blessings of our American Heritage. Nonprofits in Our Community. 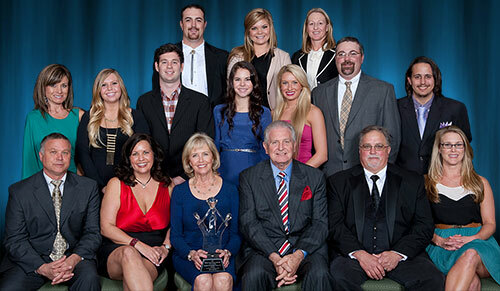 We look for inspirational organizations that embody the values and beliefs at the core of the Taylor family. We encourage and support collaboration among our grantees to maximize resources in sustaining programs and achieving outcomes. We believe nonprofits play an exceptional and vital role in our communities around America. The sector enriches community life, offers people a way to participate, stands up for underrepresented people, provides needed services, and pioneers solutions to social and economic problems. The goal of the Taylor Family Foundation is to help nonprofits build a strong collective voice, and impact in their communities. The Taylor Family Foundation focuses its’ giving on youth, senior citizens, family values, and programs that strengthen community through collaboration and/or development of nonprofit leadership. The Foundation considers grants for early-stage ideas. Organizations that can leverage the Foundation’s support with funding from additional sources are looked upon favorably. The Foundation does not fund individuals. The Taylor Family Foundation has outlined program area goals to guide its giving. The condition of women and children in society, particularly those living in poverty. The Foundation seeks to foster a supportive environment for all families to ensure children’s healthy development. Vital non-profit sector by supporting re-granting through community funds committed to social change; and by supporting intermediary organizations that enhance the management capacity of non-profit organizations.